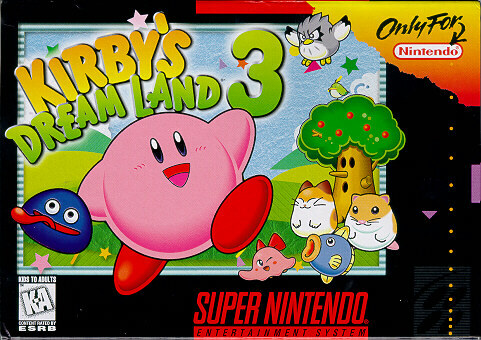 Kirby's Dream Land 3 for Super Nintendo has King Dedede back again. Use 48 different abilities along with your friends Rick the hamster, Coo the owl, and Kine the fish to help you in your quest. There are also three new friends to locate.